Burger10 Celebrates US Independence Day! 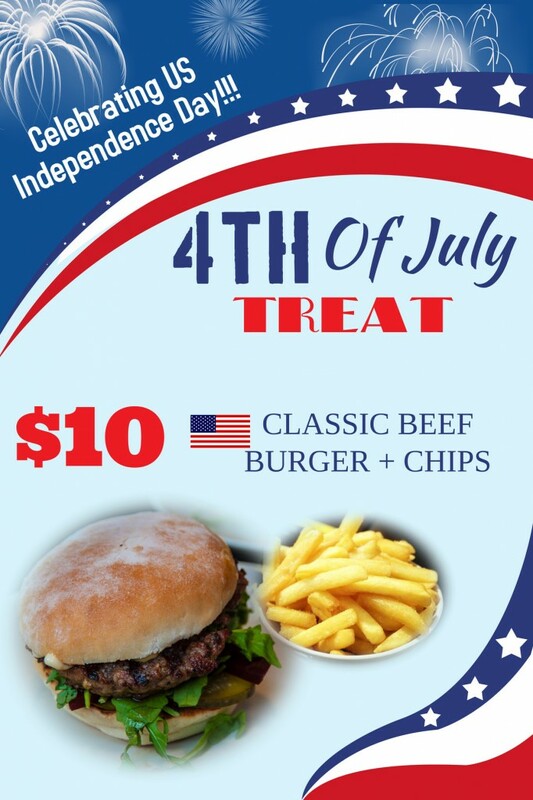 Enjoy a great deal of our American Classic Beef Burger with a side of chips for only $10 valid only today 4th July 2014! Author Sheryl JaberPosted on July 3, 2014 August 26, 2016 Tags burger, burger10, burgerpromoLeave a comment on Burger10 Celebrates US Independence Day!